"Perfect in every way!! Professional, experienced and fun! Employees were caring, efficient and have a great sense of humor. We can't imagine making a move without your help." Angels on the Move is dedicated to going beyond the standard to help families of all generations before, during and after their move. Our service is more than packing and moving. It’s caring for our clients while providing the emotional and physical support needed. Do you or a loved one need help with moving or downsizing? Are you feeling overwhelmed with all the decisions? Do you need assistance finding companies or people to help? Are you getting lost in too many memories? From an afternoon organizing session to managing the entire downsizing and moving process, Angels on the Move is here to help. Have you been in your house 20, 30, 40 years or more? Moving stirs up emotions for everyone involved – parents, children, neighbors and friends. Any move is both physically demanding and emotionally draining. Add to that, the years of possessions, the tasks can be overwhelming and difficult to tackle alone. 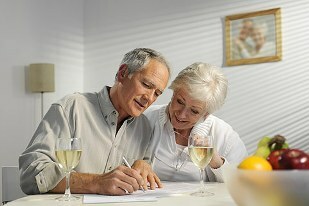 Many times family members are out of town or unavailable because of other daily commitments. Angels on the Move is like having another “daughter”. We have a wealth of caring professionals available to provide the highest level of service and assistance. Since we do this every day, our combined experience, resources, and compassion make your move so much easier. You choose the services that best meet your needs.